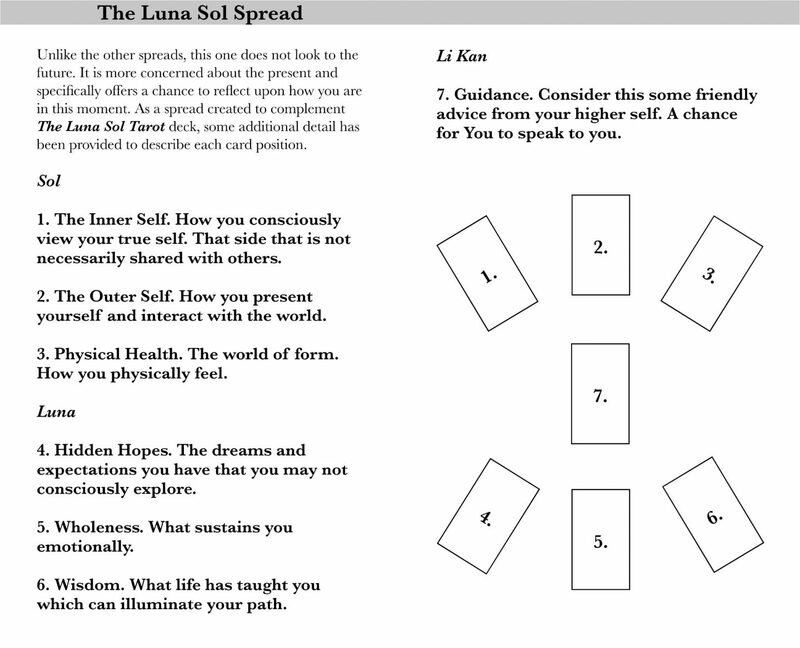 The Luna Sol Spread is a little different than other spreads in that it looks at the present more than it does the future. It’s a chance to reflect on your current self. Tarot is, after all, a wonderful tool for self-reflection! Sarah tried out this spread with great results in her latest Sunday night reading. Looks like it went pretty well for her! We hope you’ll get a chance to try the Luna Sol spread and let us know what you think of it! 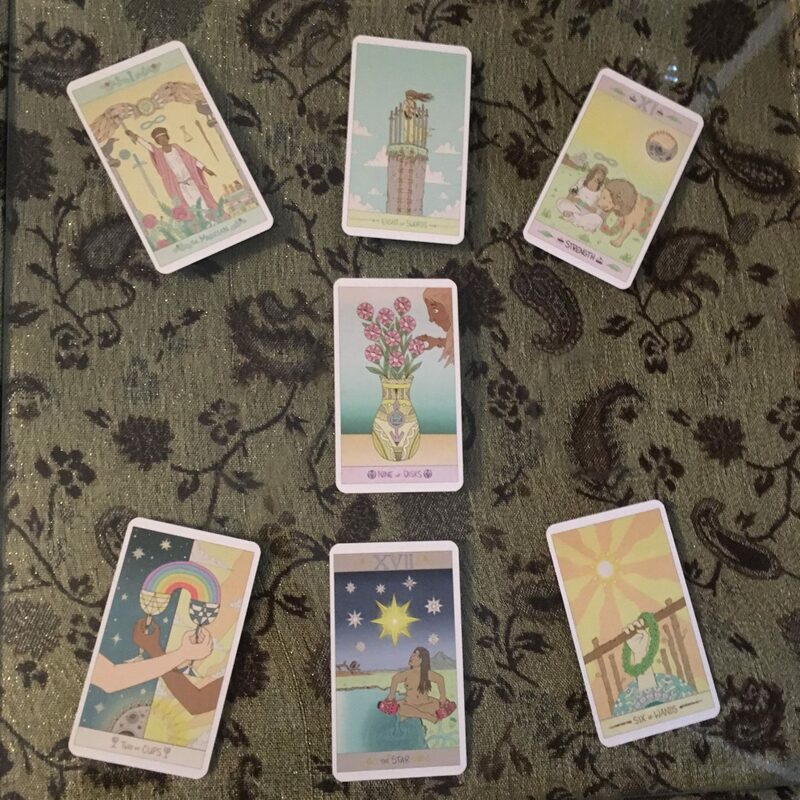 And remember, The Luna Sol Tarot is available now! Previous Post Lots of love for the Luna Sol Tarot!